Look out for fungal diseases in your late summer lawn. Week-long rain in August? Not something any of us expected to see this year, or any year here in Dallas. 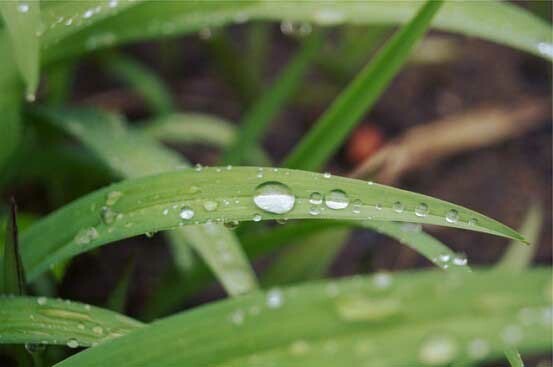 But after heavy rains this past spring, this late-summer rain could mean a resurgence of lawn fungal diseases that everyone has been struggling with. 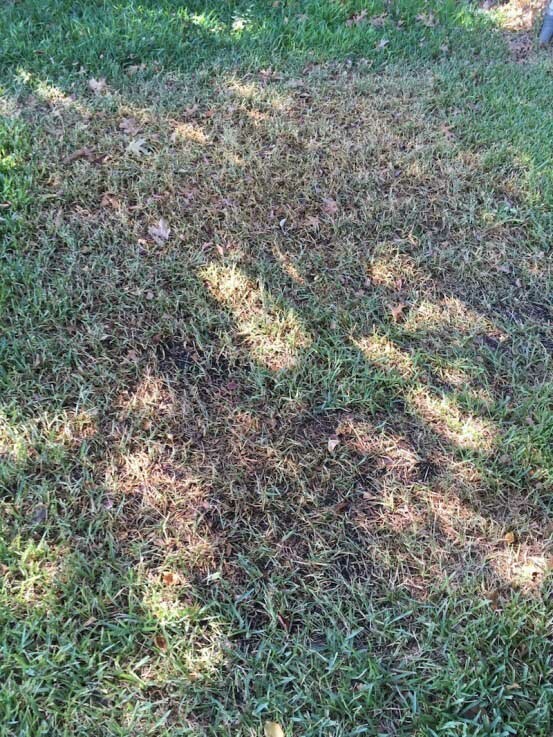 The disease you are most likely to see crop up again, especially in your St. Augustine lawn, is Brown Patch. Have you noticed circular patches in your lawn turning brownish yellow? Are patches growing from a few inches to a few feet in diameter throughout your lawn? Are they irregular shaped, yellow to light brown patches with dark brown borders appearing on leaf blades? If you answered “yes” to any of these questions then your lawn is probably infected with Brown Patch disease. Brown Patch is a fungal disease caused by Rhizoctonia solani. Overwatering your lawn is a big trigger for fungal diseases. Also, nighttime temperatures above 68 ℉, humidity and excess rainfall. Spring and early fall are the times when brown patch becomes an issue. Lawns that are already stressed from summer drought, are living in compacted soil or are burdened with an excess amount of thatch, are especially susceptible to brown patch. Browning patches in irregular shapes are a sign of brown patch disease. When it rains, or when temperatures begin to cool in spring and early fall, are you adjusting your watering schedule? We often see sprinkler systems still running in both residential and commercial landscapes the same day it has just rained. Or the systems are still running for much longer durations only required in the heat of summer. Watering too much when temperatures cool down will only make fungal diseases worse. If you’re not sure how to schedule your system, or there is a problem with how it is running, then you’re probably due for an irrigation audit to ensure your system is working properly. A strong, vigorous lawn is your best defense against brown patch disease. Proper watering, healthy soil and the right environmental factors such as good sun exposure and well=draining soil, all play a role in reducing your lawn’s chances of attracting brown patch disease. And though you can’t control high humidity or rainfall, you can control how you water and maintain your lawn. Aerating soil at least once a year will greatly help re-oxygenate the soil and stimulate beneficial microbial activity; aeration also helps reduce thatch. Feeding your soil throughout the year not only encourages strong root development and top growth, but can also help to suppress many fungal diseases. Don’t ignore the warning signs of brown patch disease. If left to spread, it can leave your lawn more susceptible to heat stress and freezes this winter. That will leave you with dead patches of lawn come spring. For those on our Soil Building Program, we’ll keep an eye out each season for diseases and pests that can cause harm to your lawn and landscape plants.